Streets of Rage (Sega, 1991) - NewRetroWave - Stay Retro! | Live The 80's Dream! Well, RetroManiacs, I guess I‘ll go ahead and do it. After all, it’s well worth talking about. Gaming History 101… Back in the early 90s, the Fourth Generation war was on. That is to say, Sega still produced consoles, and they’d produced a real gem in the form of the Genesis/Mega Drive. It was competing well with the Super NES, and part of that was because Sega had the oomph to spit out home-developed games just like Nintendo did. In 1991, when the war was at its hottest, Sega released Streets of Rage. It ended up being a home run; the title had two sequels and was also ported to Sega’s whole line (then) of platforms. While it is well-known that the Mega Drive/Genesis did not fare well domestically, Streets of Rage helped their console do well in the US market by being everything a beat em up should be: brutal, colorful, and exciting. No name is given in the manual for the city Streets of Rage is set in, but it is a corrupt and benighted city. The diabolical crime lord Mr. X has bought off or intimidated everyone, even the police. Well, except for three: Adam, Axel, and Blaze. The three cops do everything they can to fight within the system, but corrupt or terrified superiors block their way. The trio (who are also experts in their respective martial arts) end up quitting the force… but that doesn’t mean they’re done cleaning up the city. They’re going to put an end to Mr. X’s plague of crime, or die trying. In case you’re curious, the “B” means they’re bad at it. Really, you can beat the game with any or all of them, but my favorite is Adam. Once he gets there, he gets the job done quick. 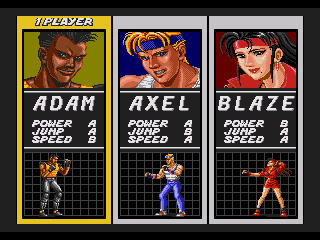 Players choose from among the three protagonists, and 2 players cannot choose the same one. Adam is a skilled and powerful boxer, but moves more slowly than the others. Blaze is agile and quick, but her strikes do less damage on average. Axel is the balanced one, and is usually a popular choice for new players. Gameplay resembles that of the game’s predecessor, Golden Axe, but only at the core level. 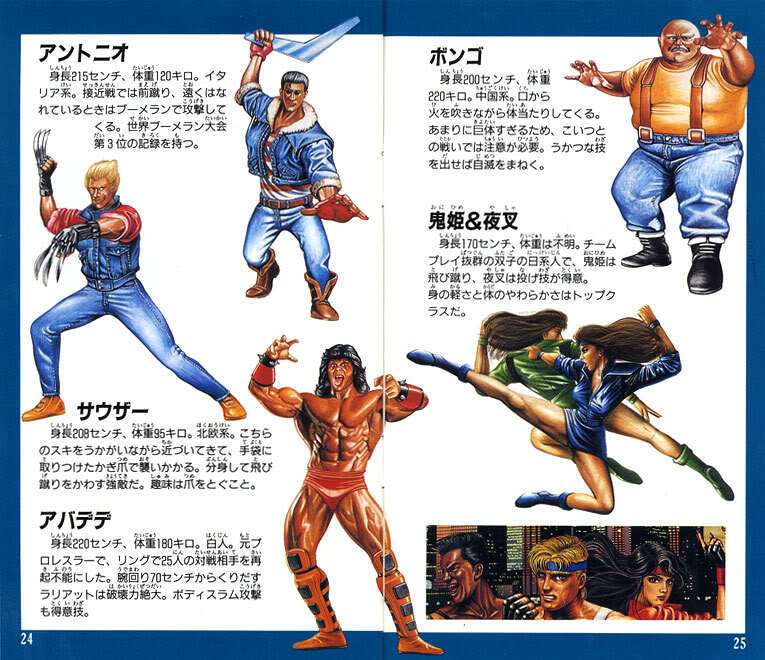 Each character has a move routine, some up-close variants (throws, etc) and a jump attack. In addition, you can pick up knives, pipes, and other weapons your less scrupulous opponents drop as you pound your way across the streets. Each player also gets a token-based special attack. This token can be replenished by beating a level or gaining a life. What is the special attack, you ask? That’s right. I’ll spare you the socio-political commentary. The foes you face in Streets of Rage are trend setters. That is to say, every time this formula has been copied (and believe me, it has), the aesthetic of the enemy types has been loosely copied as well. The theme that ties them together could be described as “colorful.” Mr. X has really worked hard to make his gang of miscreants a diverse one. Most of the low-level baddies are easy to dispatch, but there are a few who know their stuff. You’ll want to use team tactics on them or just catch them quick; next to the bosses, the high-flying thugs are your worst threat. 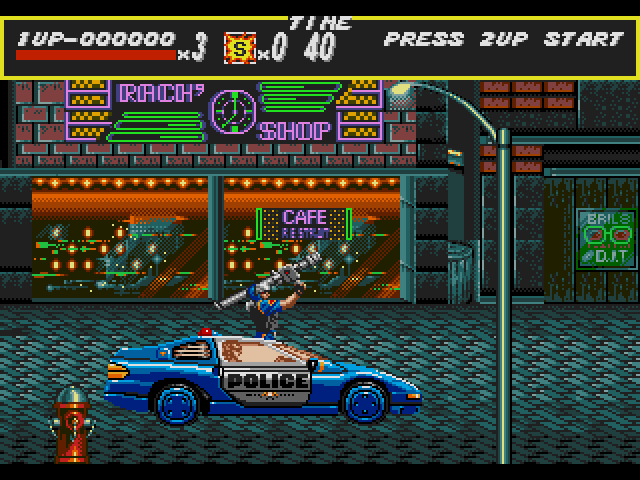 Plenty going on in Streets of Rage. Above, left to right: two of the Freddy ripoff bosses; the boomerang guy just before he gets crazy; giving a low-down punk a broken bottle in the gut; waiting to hit a line-drive at the wharf. Oh, the bosses, though. Every stage except stage 7 has one. They are all hilarious. Some of them become recurring baddies later on, albeit in slightly weaker forms (to compensate for their greater numbers). 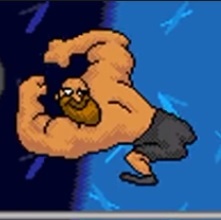 It is worth noting that the bosses are all also HUGE. When I say HUGE, I mean easily twice the size of your character. Again, as with the trickier hoodlums, these guys usually take team tactics or quick pattern recognition to defeat. It helps to have another player, but it also helps to have a rough idea of how far a boss’s attacks will reach. The bosses. Immediate in-joke references can be seen, the most immediate being Freddy Krueger and the Ultimate Warrior (RIP). And yes, you eventually fight clones of yourselves. All of this mayhem eventually culminates in a face-to-face with Mr. X himself. The game offers multiple endings, because no matter which character you play, Mr. X offers you a job. You know what’s even cooler? If there are 2 of you playing and one of you refuses, you have to fight to the death. If you do the right thing and unanimously refuse, it’s on. Mr. X doesn’t screw around with kung fu or boxing… he just pulls out a Tommy gun and starts spraying his own mansion with bullets in an attempt to do you in. All the while, more of his cronies file in to make mince meat of you. If you win this colossal battle, the good ending plays: the city is restored to order and peace. The graphics are splendid, even for the Genesis. Just look at the game’s intro: a sweeping background shot as the story scrolls down, and then our pugilistic protagonists phase into view. All is color and light in this game; it is very late 80s/early 90s, complete with neon everywhere. The soundtrack fits nicely with this aesthetic too, written by the gifted Yuzo Koshiro. 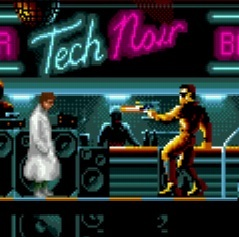 It features out-and-out dance music, complete with drums that were purposefully made to sound like the popular TR line of rhythm machines made by Roland. The soundtrack was modeled closely after then-contemporary hip-hop and R&B music, which was enjoying a surge of popularity in the early 90s. The OST of all three games in the series has been released in CD format; these printings are rare and considered valuable by collectors. 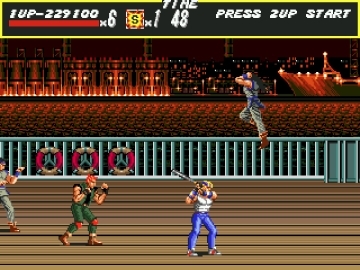 Streets of Rage gave way to two sequels, both of which introduce new characters and new threats to the streets of the city. There is still a huge fan community even today in 2015, with Streets of Rage Online carrying the banner far into the Information Age. Streets of Rage is one of those franchises that never became a Sonic or a Mario, but nonetheless left a lasting impression on a generation of gamers. I give it 8 stars out of 10. 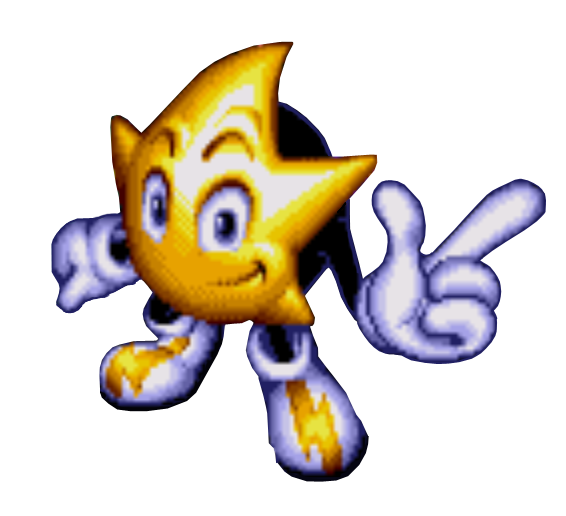 It is an action-packed, exciting, and memorable title that stands as one of the Genesis system’s icons. Until next time… keep your dukes up!! !